Michael Kolar (Dukla Trencin Trek) won the third stage after a nervous bunch sprint and crash in the final 300 meters. 20-year-old rider from Slovakia avoided the disarray and outsprinted Matthias Plarre (LKT Team Brandenburg) and Tomas Koudela (Czech National Representation), taking a fine win in Stara Bystrica, Slovakia. Daan Meijers (Team Jo Piels) took the leader’s jersey from his younger brother due to seconds taken on the intermediate sprint. „Today we had to get one of the guys up the front – he won one the mountain sprint. I was just supposed to look after our blue jersey. After that, when it all came together, we were looking for the sprint. The team was excellent, we went for the train and I just finished the job” – Kolar said after the decoration ceremony. 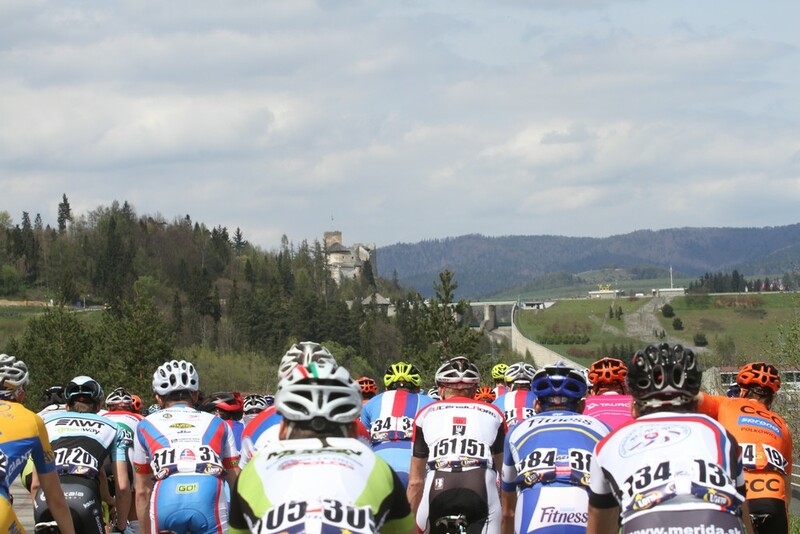 131km stage from Dohnany to Stara Bystrica started with three climbs in the first part of the day. The very first attack came from Oleksandr Golovash (Kiev Regional Team) who managed to gain 1:30 on the main bunch. Riders from different teams tried to counterattack on Kohutka climb but the pace forced by the peleton was high and their action disappeared as quickly as it emerged. The most difficult part of the course was the penultimate climb of Kasarne, where Filip Taragel (Dukla Trencin Trek) took 3 points ahead of Patryk Stosz (TC Chrobry Lasocki Głogów). The situation hasn’t changed untill the end of the stage. Attacks coming out of the peleton were chased and caught one by one. Stosz won the last mountain sprint, beating Taragel and Serge de Wortelaer (Color Code Biowanze). The peleton split on the descent and a group of 30 riders emerged. With no more climbs to go and a bunch sprint coming up, each team wanted to put a sprinter into a fine position. The peleton finally succeeded and caught the group approximately 30 kilometers before the flamme rouge. Team Jo Piels came to the front and decided to force the pace – just to make sure that nobody tries to pull spmething at the front. Their work only lasted for a couple of kilometers as the riders started trying their luck once again. The last man standing was Tomas Koudela who headed solo into the final 10 kilometers, holding a gap of 45 seconds on the main bunch. The sprinters joined forces and chased the attacker down, trying to put their fastest men in the good position before the last effort to the finish line. The sprinters dashed for the line just in time before the coming storm. Kolar avoided the crash and claimed a confident victory, beating Plarre and exhausted Koudela in the heart of Stara Bystrica. 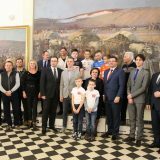 Carpathian Couriers Race 2016: here we go!